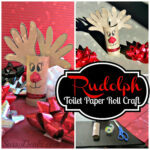 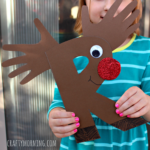 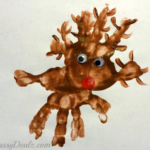 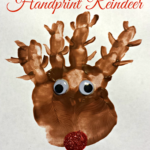 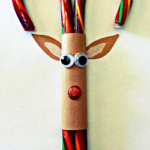 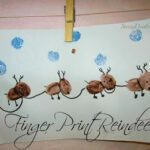 Here’s another cheap reindeer craft for the kiddos! 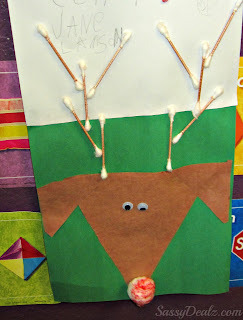 All you need is construction paper, a cotton ball, and q-tips to make Rudolph! 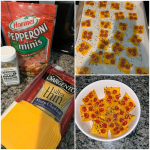 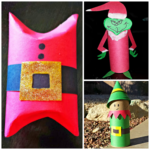 I think these turned out super cute and the kids learned how cut out triangles. 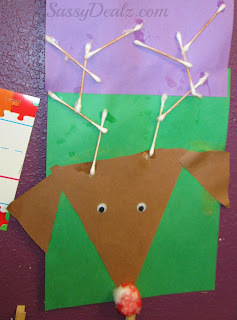 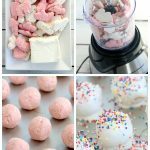 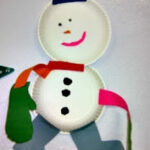 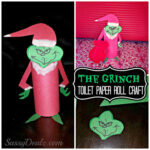 If you like this one, check out my other Christmas Crafts for kids!